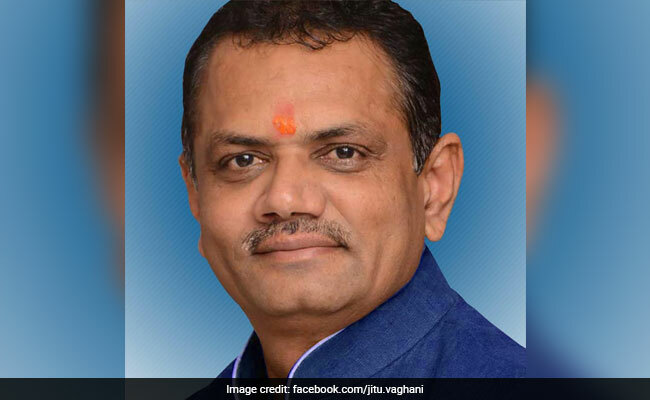 Gujarat BJP president Jitu Vaghani has kicked up a controversy with his remarks targeting the Congress as the opposition party accused him of using “distasteful” language against party chief Rahul Gandhi and his family and said it reflected the “low level mentality” of BJP leaders. As Congress took strong objection to his comments, Mr Vaghani on Monday said his remarks were misconstrued as he was just highlighting the “VIP culture” in the opposition party and offered to apologise if he had hurt sentiments. “….He was born with commandos around his cradle…I am not sure if commandos were there when he was being fed milk,” Mr Vaghani had said without taking any name while addressing a gathering in Radhanpur town of North Gujarat Sunday. As Congress leaders condemned his remarks, Mr Vaghani clarified that his words were taken out of the context. “I was only trying to point out the VIP culture in the Congress and trying to compare it with Prime Minister Narendra Modi’s ground connect. It is natural that people who come from such culture do not understand the Indian culture,” he told reporters in Gandhinagar. Mr Vaghani said he was appealing to people not to take his remarks otherwise. “If anyone is hurt, I will not hesitate to apologise as this is the culture of my party. But I am saying again that I was only comparing those who came from the VIP culture and leaders like Modiji, who came from a humble background,” said Mr Vaghani. Opposition leaders kept mum when PM Modi was targeted with “abusive language” by Congress leaders in the past, he said. Gujarat Congress president Amit Chavda said the women of this country will never forgive Mr Vaghani for his remarks “against the Congress chief and the Gandhi family”. “Vaghani’s remarks reflect the low level mentality of BJP leaders. It shows their character and upbringing. Though he is trying to play down his comments now, the women of this country will never forgive him for uttering such distasteful words,” said Mr Chavda. “The remarks were made intentionally. It was not a slip of tongue. It was a deliberate attack and it cannot be forgiven,” said Mr Chavda.